Suffice to say, Russia has thus very been wildly successful in the “test case” of the CAR, seeing as how the country’s armed parties just agreed to another peace treaty. While this pact is the eighth such one to be reached since the conflict started in late 2012, it’s the first one to be concluded as a result of direct dialogue between all sides, which was jointly facilitated by Russia and its close regional partnerSudan through a series of meetings that took place in the latter’s capital. About that, the US is tacitly assembling an impressive coalition of countries including India, Japan, France, and the UAE to compete with China in the modern-day “Scramble for Africa”. 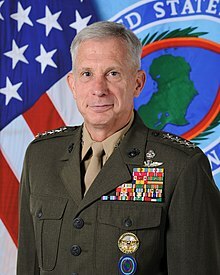 Officially speaking, this competition will only remain in the economic realm, but the Pentagon will almost certainly resort to sparking various Hybrid Warsas it seeks to gain the upper hand against it rival, knowing that the Achilles’ heel of China’s Belt & Roadvision is its inability to provide physical security for its investments. Andrew Korybkois an American Moscow-based political analyst specializing in the relationship between the US strategy in Afro-Eurasia, China’s One Belt One Road global vision of New Silk Road connectivity, and Hybrid Warfare. He is a frequent contributor to Global Research. The forces of death and evil are trying to destroy the Black Race.